When it comes to working up a sweat, we all have our go-to tracks. With Spotify boasting more than 25 million user-made workout playlists, it only makes sense that some trends emerge along the way. As pointed out by Variety, Spotify has shared its annual list of most played workout songs, with the data revealing that Eminem, Post Malone and Kendrick Lamar got the most airtime in the gym in 2017. 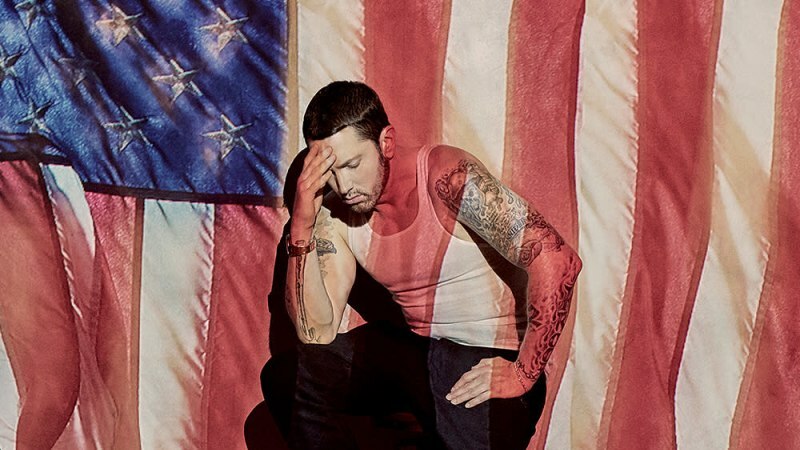 According to the data collected by Spotify, its users across the globe collectively agree that Eminem's 2002 track "Till I Collapse" makes for a great workout soundtrack, with the track assuming the No. 1 slot for the second year in a row. In the U.S. specifically, Post Malone's 21 Savage-collaboration "rockstar" lands on the No. 1 slot, with Kendrick Lamar's "HUMBLE." sitting at No. 2 and Eminem's "Till I Collapse" at No. 3. In other Spotify news, it was recently reported that the company's chief content officer Stefan Blom has left his position after spending over three years there, with the announcement arriving amid the company's plans to go public. Additionally, the company is currently facing a $1.6 billion copyright lawsuit as well. It has not yet been announced who will replace Blom as CCO. Check out the lists for the top workout songs for the globe and United States alike, below. 1) Eminem – "Till I Collapse"
2) Post Malone – "rockstar"
4) Kendrick Lamar – "HUMBLE." 5) Axwell /\ Ingrosso – "More Than You Know"
9) Dua Lipa – "New Rules"
10) Kanye West – "POWER"
1) Post Malone – "rockstar"
2) Kendrick Lamar – "HUMBLE." 3) Eminem – "Till I Collapse"
4) G-Eazy – "No Limit"
5) Cardi B – "Bodak Yellow"
7) Imagine Dragons – "Thunder"
8) Demi Lovato – "Sorry Not Sorry"
9) Kendrick Lamar – "DNA."